Worried about missing the match while your wife/girlfriend shops? Fret not! You can now watch the match at the mall. Cheer for your favorite team and cheer your loved one too, we like it. 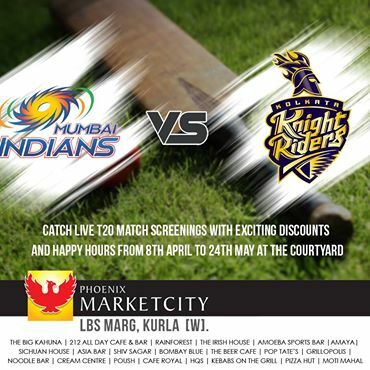 Not only is the mall screening the T20 matches, one can enjoy a variety of Food and Beverage options at the mall for wholesome entertainment. 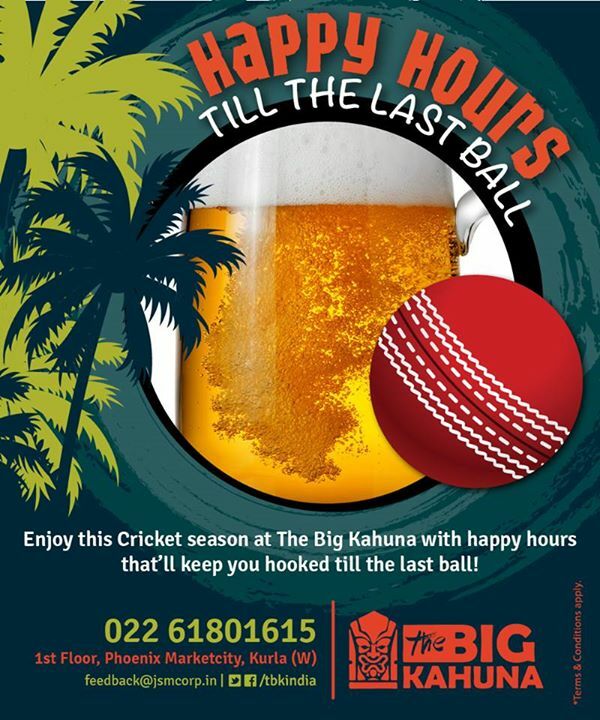 Enjoy a sundowner at The Big Kahuna, Global cuisine at the newly opened 212 Cafe & Bar, Cheer your team at The Irish House or The Beer Cafe and relax with delectable food at the Asia Bar. With a variety of choice across various cuisines, your dining experience will be elevated to a whole new level. Remember thumping to "We will rock you"? 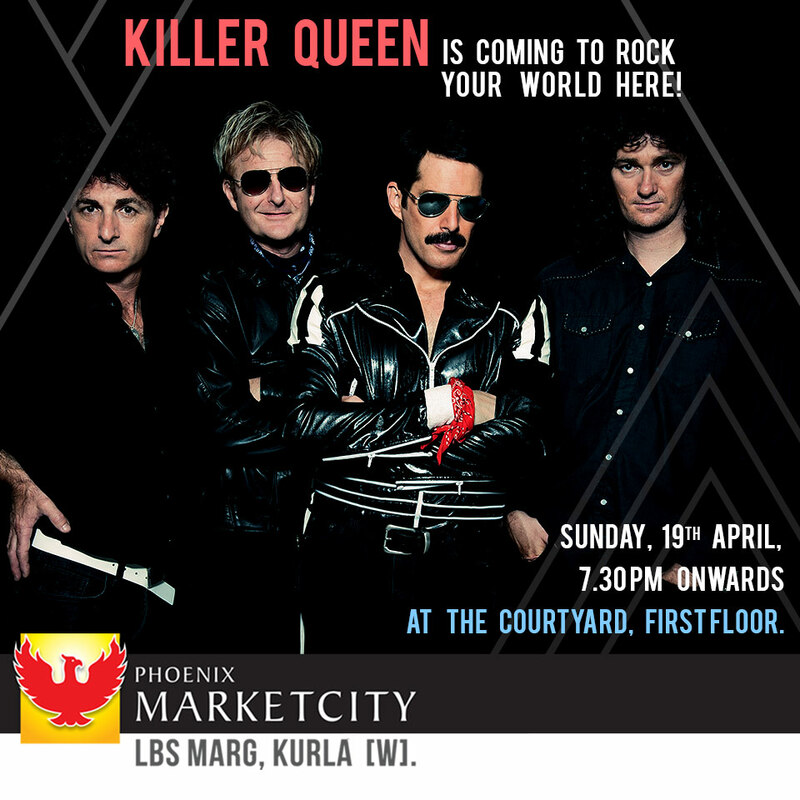 The biggest tribute band to Queen is touring India and they are performing at the Courtyard, Phoenix Marketcity Kurla. And guess what, ENTRY IS FREE. Things do not get better than this, don't you agree?? Office competition is now made fun! Get your office team to compete at the Bowling at Amoeba Sports Bar. 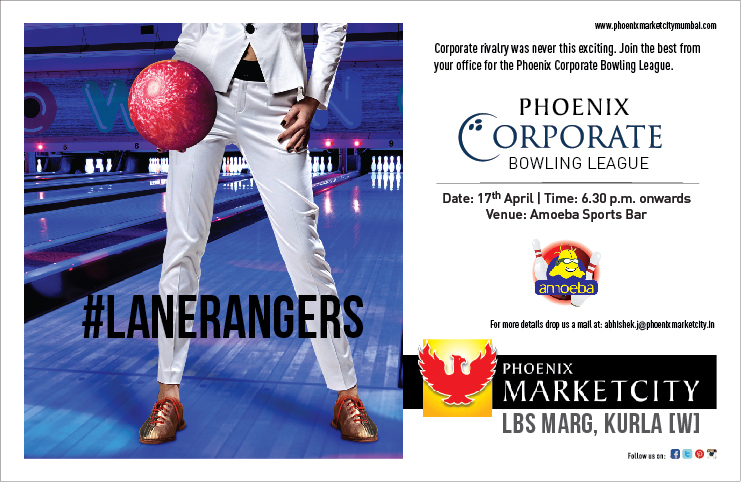 A great team building exercise, bowling helps you share your camaraderie with your colleagues and beat opponents. Evenings are much more fun that way. If you are shopping at the mall over the weekends, head to Atrium 4 and groove to the beats churned out by these amazing DJs. Love adventurous games? 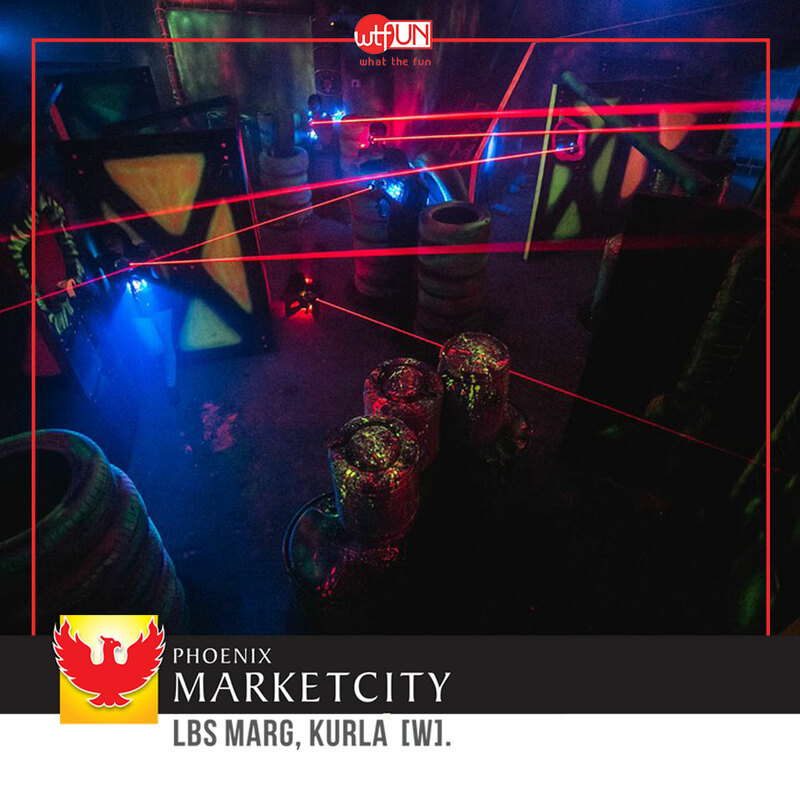 Play Laser Tag at WhatTheFun. Want to play with snow in Mumbai? Snow World comes to the rescue with snow-based theme park of International standards. Enjoy an unbeatable flight simulation experience at Flight 4 Fantasy or get goosebumps at the Scary House. Have fun at Timezone, a one-stop interactive entertainment destination or head to Orovan Sports, that brings a variety of real sports like archery, cricket nets and more under one roof. Kids can indulge in activities at Fun Zone and the Happy Planet that houses a dedicated toddler section or enjoy a wonderful train ride in the Bella Tori Express. 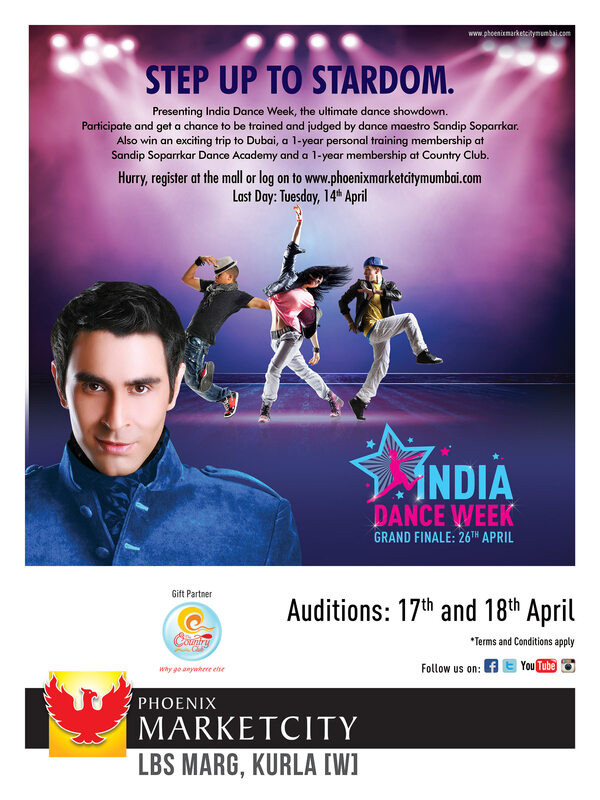 Like we said before, one can enjoy hours of entertainment all under one roof at Phoenix Marketcity Kurla. April is a month of a lot of new beginnings. 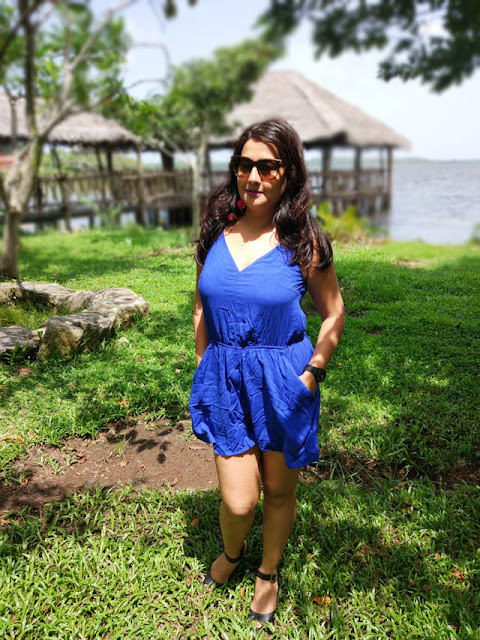 Some new stores to look forward to – Nyassa, Ritu Kumar Label, Harry’s Bar & Cafe, Me and Mom, Suloch, Tommy Hilfiger and Amaya – Indian Grill and Kitchen. Spoilt for choice, aren't we? Replenish your Summer Wardrobe with new summery collections from Zara, Vero Moda, Only, French Connection, Mango, Aldo, Charles & Keith and many more high-street brands. 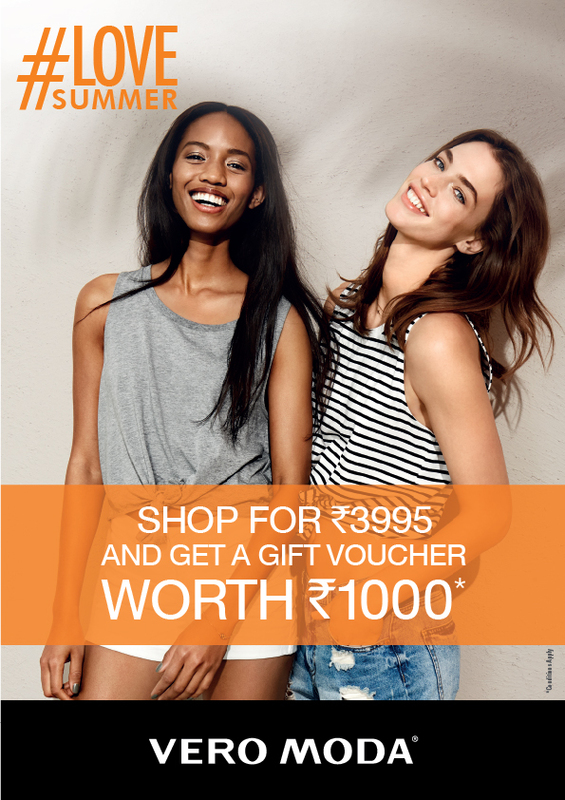 Go with your bestie or on your own as the brands spoil you for choice with colorful threads and accessories to match your individual style. Make most of the sunshine and explore the world of sophisticated fabrics of spring. 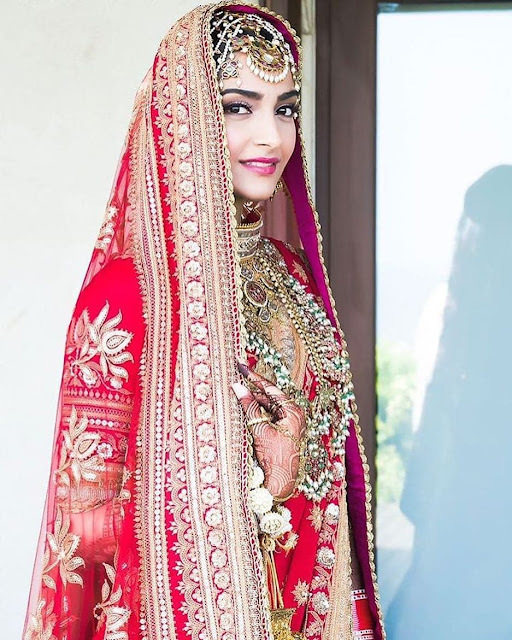 We bet no one can resist this one. Sit back and enjoy the best of Bollywood and Hollywood flicks like Margarita with a Straw, Dharam Sankat Mein, NH8 and Avengers - Age of the Ultron this month at PVR's Gold Class. 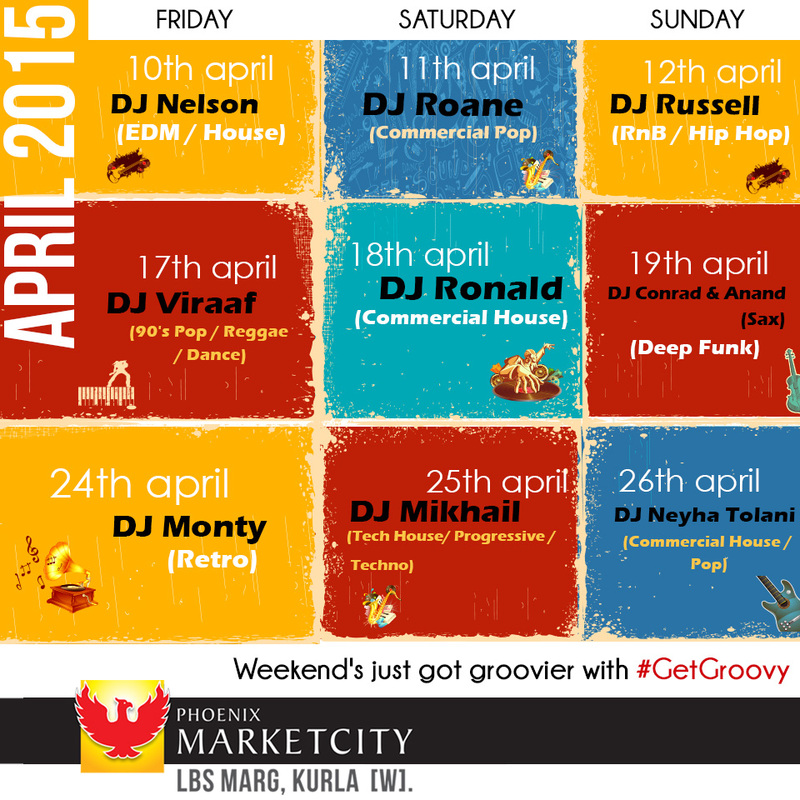 So go on, take some time off and head to Phoenix Marketcity Kurla this month. Indulge in good food, shop from your favorite high-street brands, get the adrenaline flowing with your colleagues or plan a date night with your loved one. The options are limitless. The mall is centrally located and accessible from the Santacruz Chembur Link Road, Eastern Expressway as well as the metro. Like we told you in the beginning, malls are like Santa Claus and mine stays open 365 days a year.